Davos (Switzerland) (AFP) - This year's World Economic Forum in the Swiss ski resort of Davos is taking place under a cloud of popular anger that has destabilised major democracies from the US to Europe and Brazil. 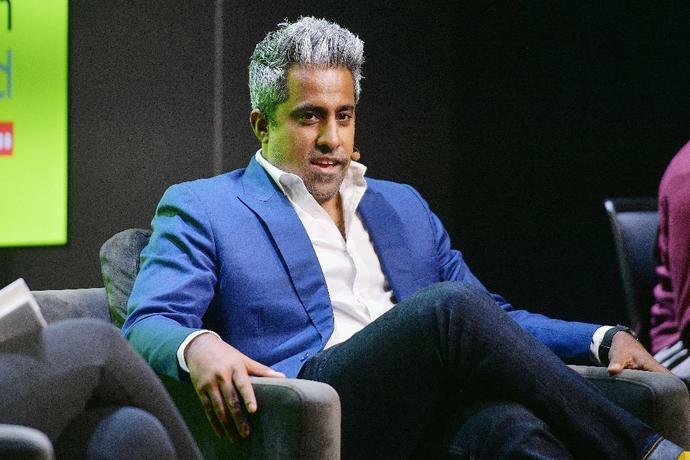 AFP spoke to one of the event's most trenchant critics, Anand Giridharadas, a former McKinsey consultant and ex-columnist for The New York Times. His book "Winners Take All" torches what he calls the hypocrisy of an out-of-touch elite. Here are excerpts from the interview. It's basically lobbying under the guise of an ideas conference. You get to party together, you get to know each other and sit on panels together. It becomes this perfect way in which the rich and powerful are able to take their parochial interests and values and launder them into common values. When that is the company you keep, it is difficult to think your way out of sharing its values and assumptions. Davos conversations are not about how do you increase market share in China. I would actually respect that conference more. This whole thing has become so exhausting because we have now asked the Davos elite to take care of the common good for which they are not qualified and of which they have no interest. There's a spectrum from the naive to the shrewd at Davos. I don't think anybody at Goldman Sachs thinks that Goldman Sachs is really in the business of making the world a better place for the least among us. I think they understand that they are a bank and are here to make money for their owners and that a certain amount of giving and public responsibility is necessary to buy goodwill and avoid having executives put in prison after a financial crisis. And in a way I kind of respect that because at least they know who they are. Then you go to Silicon Valley and you really do have these guys like Facebook chief Mark Zuckerberg who are not cynical and really believe they are lucky enough to have alighted upon certain tools of emancipation, and if they are able to share them far and wide they'll be able to change the world for everybody. Their self-delusion comes from not at all understanding that they have become the problem rather than in any way representing the solution. I believe that Davos should be cancelled. I think the only way forward for the plutocracy and for the Davos class in this age of rage is for a real period of reckoning and self-reflection and self-correction. Davos is a celebration and kind of carnival for those who have rigged so many countries around the world. And then as the working and middle classes of many societies have revolted against being stiffed by the plutocracy, the plutocrats have benefited yet again from demagogues -- and sometime plutocrats themselves like Donald Trump -- channelling that correct anger, but then diverting it so that the revolters punch down at the most vulnerable people in society, instead of punch up to people who stole the future.